Why Work With My Organic Hunter? We live in a world today where people are more health-conscious and environmentally aware than ever before, but it can be confusing when we are bombarded with advertising campaigns from companies who cleverly use marketing ‘buzzwords’ like fresh or natural or vegan or vegetarian, so we as consumers are led to believe that their products are healthy and good for us - and why wouldn’t we? Sadly, this isn’t always the case, but more and more people are waking up to the fact that if a product’s ingredients are not organic, they could contain toxins which is certainly NOT good for us. At present we have bases in London, New York and Los Angeles, and we expect to have new bases in many more incredible cities in the near future. 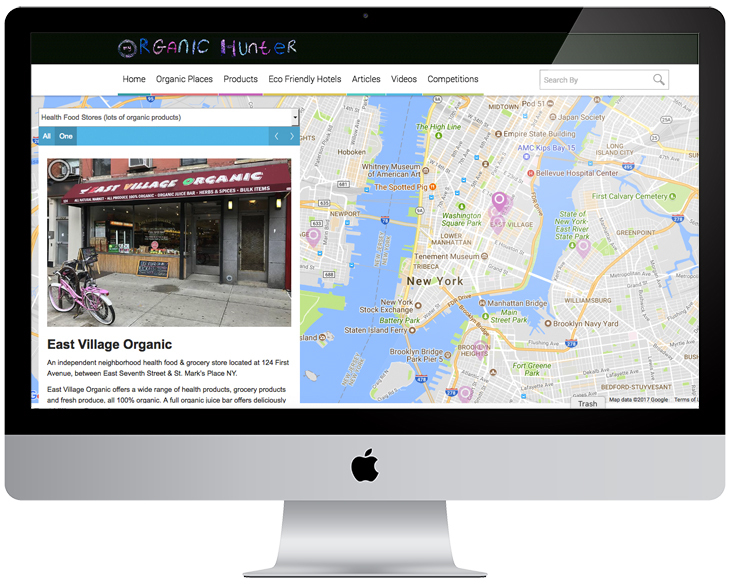 We work with a network of 100’s of locally-owned and independent organic focussed businesses around the world; between London, New York and Los Angeles our network includes incredible cafes, deli’s, grocery stores, heath stores, juice bars, and hair & beauty spas. If we believe in a brand we can help get it on the shelves of 100’s of stores. We have a range of packages from high impact short running campaigns (a few days to a month), to full 12-month campaigns where we engage our audience with our clients’ products and/or services each month. We are always on the lookout for new articles to publish, if you would like us to write about your company and / or your product or you would like us to focus on a certain topic, please do get in touch.